Summer is no-doubt your dog’s favorite season. There are splash pads, the rolling hills of dog parks, and endless hiking trails to explore. To make sure you and your pup have plenty of safe and fun adventures, here are 10 of the best summer products for your dog. While many of us enjoy the rising summer temperatures, our doggos are susceptible to harming their paw pads on asphalt, cement, concrete, and the like. Your little fur-pals will appreciate a set of Wellies Boots from Canada Pooch. The flexible silicone boot allows for a full range of motion while being thick enough to protect their paws from the heat. Even if your pooch has hated boots in the past, they’ll give a shake for these slip-ons. What’s better than lounging in the pool? Lounging in the pool with your fur-pal! The Pool Float and Lounger by Frontgate uses a buoyant puncture resistant material that allows your pool buddy to float along with you or chill on the deck. If your doggo isn’t into hanging out on the water, wet the lounger down and it turns into a cooling bed. Does your doggo love all things water (except maybe baths)? Just attach the Doggy Drencher to a hose to turn on this rotating water-shooting sprinkler. The Doggy Drencher by Outward Hound is your go-to backyard fun for the pup that relishes playing around in the water. Perfect for dogs who love to dive over the dock, this buoyant floating fetch toy from Kurgo can be skipped over the surface of the water just in time for the big splash. These brightly colored floating toys are sure to catch the eye of your water-loving doggo. These summer temperatures can be tough on some of our doggos that are a little extra in the floof department. This cooling vest by Ruffwear is designed to be soaked in water and then worn by your fur-pals, incorporating an evaporative cooling process that helps keeps your buddy happy. If you are anything like me, a nice long walk is preferably followed by a long nap on top of an air-conditioned vent. 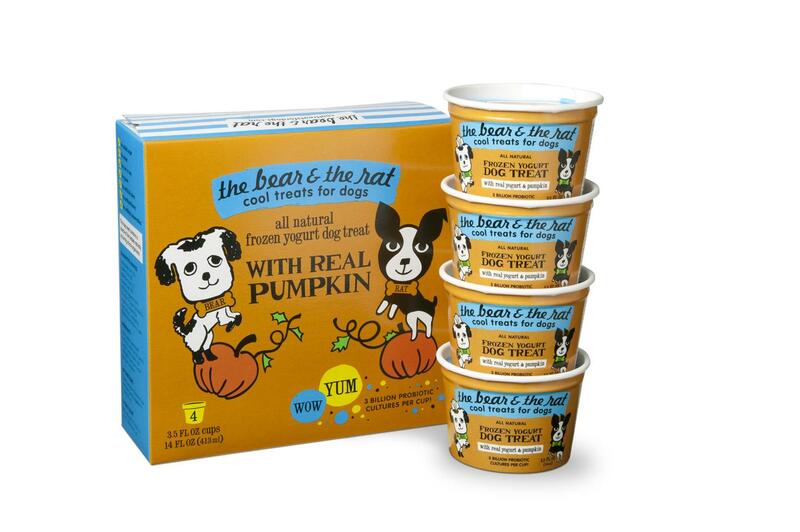 The next best thing is a frozen yogurt treat from The Bear & The Rat to cool down. They come in a variety of flavors, and I am partial to the bacon and peanut butter. The Float Coat by Ruffwear is a must have for those over-enthusiastic pups that go ape over water. My pup enjoys heading out with me in the kayak or canoe, but the river currents quickly wear him out. This life jacket gives me peace of mind and makes it easier to help my buddy back into the boat. Just because they’re covered in fur, that doesn’t mean they can’t get a sunburn. 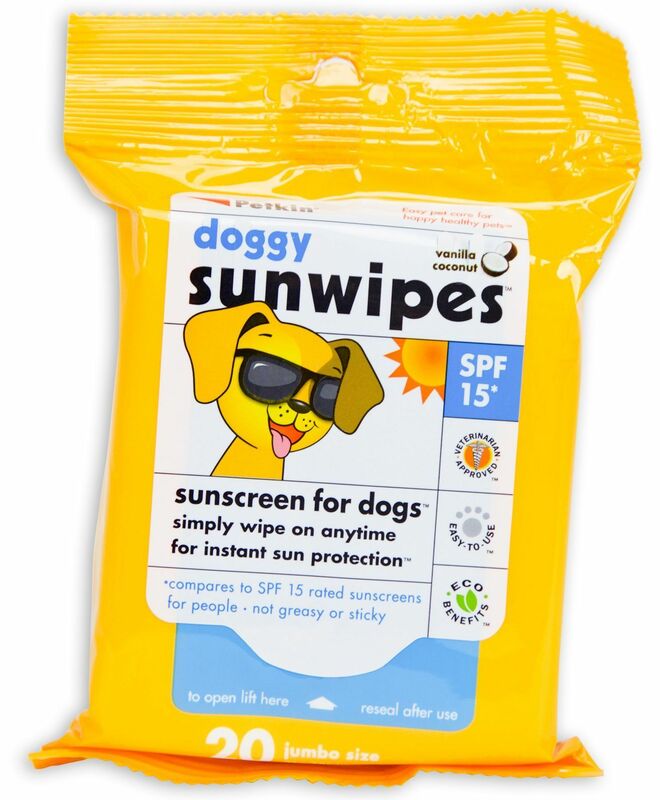 Doggy Sun Wipes from Petkin make it easy to cover all the trouble areas (like the ears, nose, muzzle, and exposed skin) to keep your doggo from developing a sunburn. 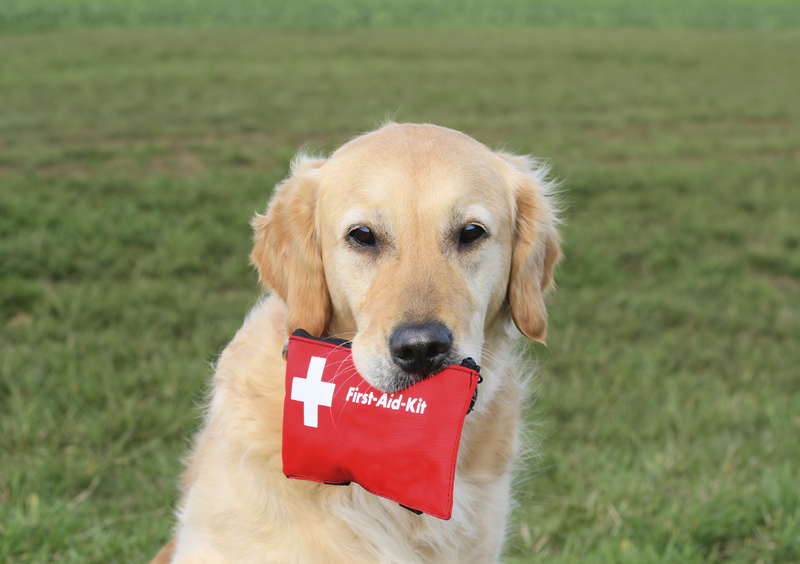 Everyone who shares a home with a doggo should consider keeping a first aid kit nearby in the event of an emergency. When my pup and I go hiking or take a day trip, I always make sure to grab my first aid kit from Bark Shop. The Quencher Bowl by Ruffwear is a fantastic item to have out on a long walk in the sun. It is simply a collapsible fabric bowl that can hold water, and it can be stowed in a pocket or backpack after your pup has had their fill. This is an awesome list! Give me a Dog Pool Float and Lounger and a cup of froyo poolside and I’m all set!